I'm a little behind on blogging. Maybe unmotivated? Maybe too busy with other things right now? I'm trying to finish my dragonfly cross-stitch by the end of the year, but I suspect that is not going to happen. I've got a stack of books to read and instead of being on the computer on this sunny Friday afternoon, I should be trying to read the remaining 4/5 of 'Telegraph Avenue' by Michael Chabon before it's due date of tomorrow. Whoops. 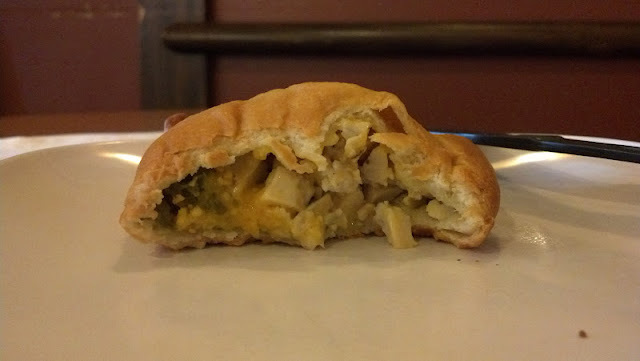 But last night in the middle of the night I woke up and for some reason I was thinking, "Hey, I never blogged about Cafe Kolache!" My dreams are strange, and sometimes I just want to forget them ASAP because they are so strange. Like why the heck was I suddenly dreaming about my blog and Cafe Kolache? Although I suppose that's better than the dream where the water main breaks and floods the entire house, or the dream where I get stung by gazillions of bees, or the one where I am trying to bicycle into a barn before the acid rain starts. Yup. Not remembering dreams is preferable. Remembering these kolache is definitely a good thing. We found ourselves up north one day and I remembered this place on Third Ave in Beaver, so I suggested we grab a quick snack. 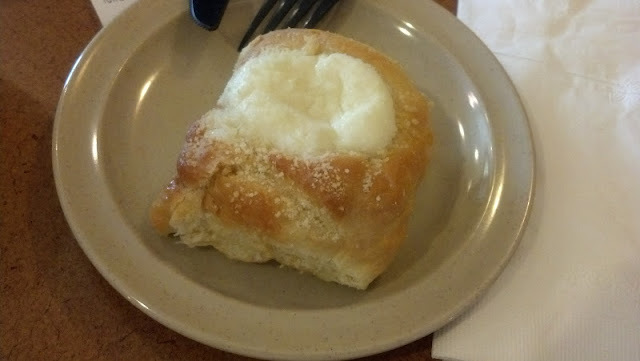 Cafe Kolache. What is a kolache? 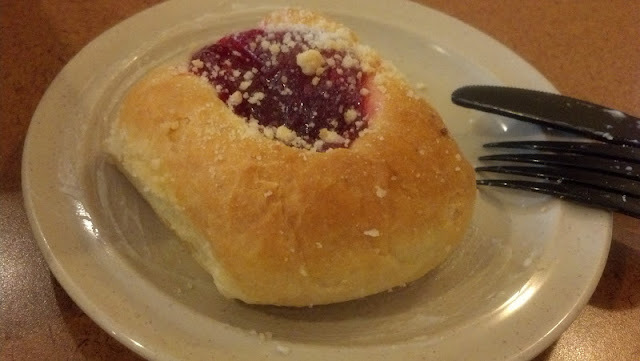 A kolache is a Czech pastry, a delight of slightly sweet yeast dough, usually with fruity filling but at Cafe Kolache there are also breakfast kolache filled with eggs and bacon/sausage/ham as well as lunch kolache like the spinach and feta one I decided to try. The kolache dough is delicious. SP chose a chicken fajita & jalapeno kolache. He devoured his. Mostly, he was starving, but between bites he managed to mumble that it was delicious and not too spicy/hot but probably too hot for me, the heat wimp. 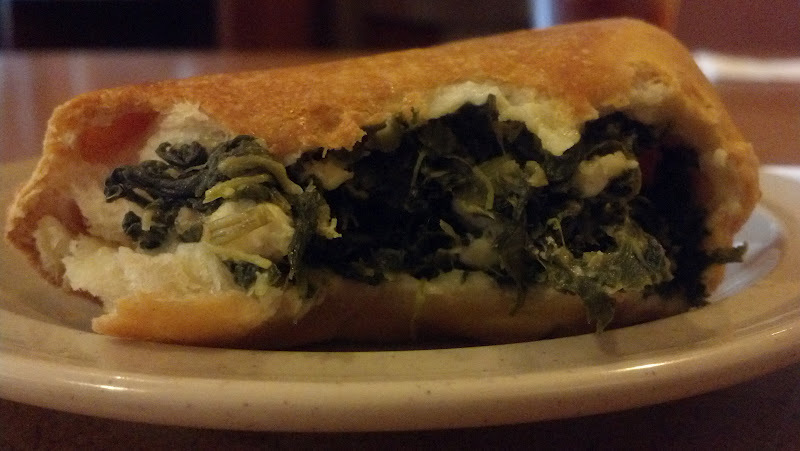 There was a lot of spinach in my kolache and a hint of feta. 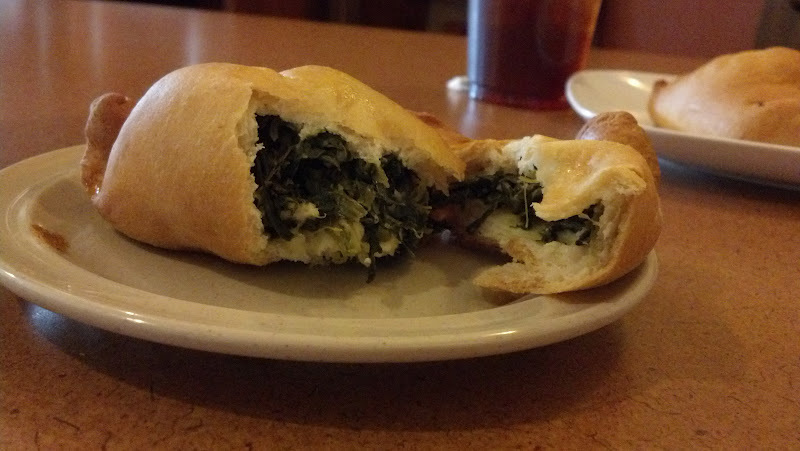 The spinach and feta flavors were good, but the star was the kolache dough. Of course we had to try some of the fruity, dessert kolache. We picked out 6 flavors to try. The first one we shared was fresh from the oven, still steaming, and the cream cheese was delightfully melty. We also shared a warm raspberry one. And then we were pretty full, so we took the other four home and enjoyed all four the next day: blueberry, lemon, cherry, and peach. Cafe Kolache offers many coffee drinks, using coffee from Prestogeorge in The Strip. They also have a lot of loose leaf teas. While I chose a latte, SP had a fresh brewed iced tea and then he got a coconut green tea to go. We really liked this place. It was a sunny but chilly Saturday and neither of us had ever actually gone to Beaver, just around/through it. This street, Third Street, was very cute and had lots of restaurants, some shops, it looked like a nice place to wander along. It wasn't too difficult to snag a parking space in front of some shops. The Cafe Kolache workers were incredibly friendly. Like some of the friendliest workers I have encountered in quite some time. 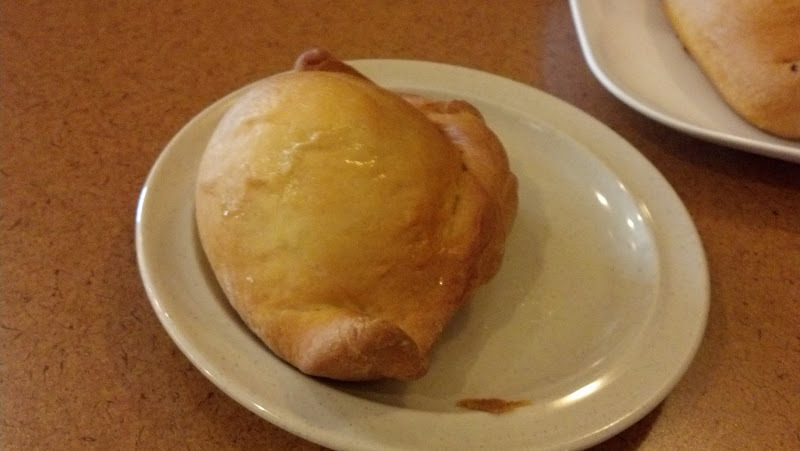 They asked if we had been there before, if we knew what a kolache is, described their different kinds, and when we ordered our dessert kolaches, they made sure to give us the fresh, warm from the oven ones, not the ones that were sitting in the case. Kolaches are really good cold, but warm, well they are really, really really good warm! 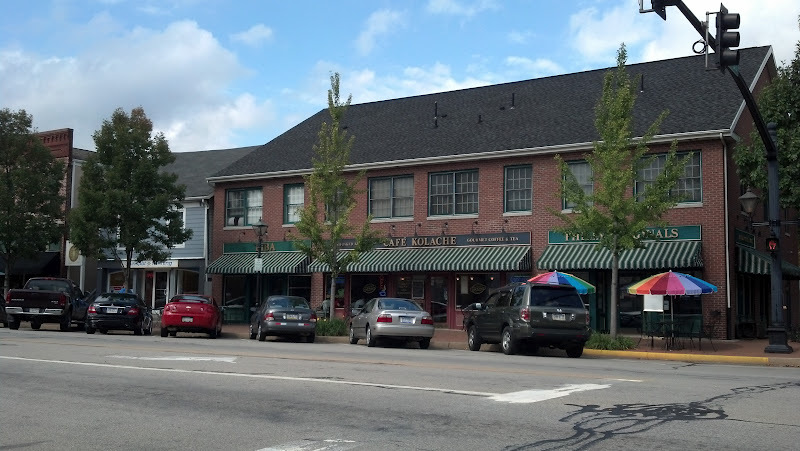 I would love to go back, not just for the kolache but to walk around and explore the town. We didn't have time to spend a relaxing day, we had too many things on our 'To Do' list. Hopefully, we'll get back soon.